We who love French organ music must adapt, in dealing with those outside our circle, the insinuating advice once given to Augustine: Tolle, aude. I [Gingrich] suggested that he [Fitzgerald] put down anything that came into his head, as automatic writing in the Gertrude Stein manner, or that, if even that were beyond his powers of concentration, he simply copy out the same couple of sentences over and over … if only to say I can’t write stories about young love for The Saturday Evening Post. 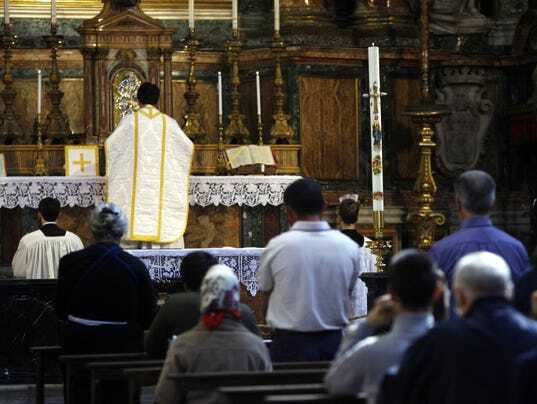 VATICAN CITY — Fifty years after the traditional Latin Mass was abandoned by the Roman Catholic Church, it is making a comeback. 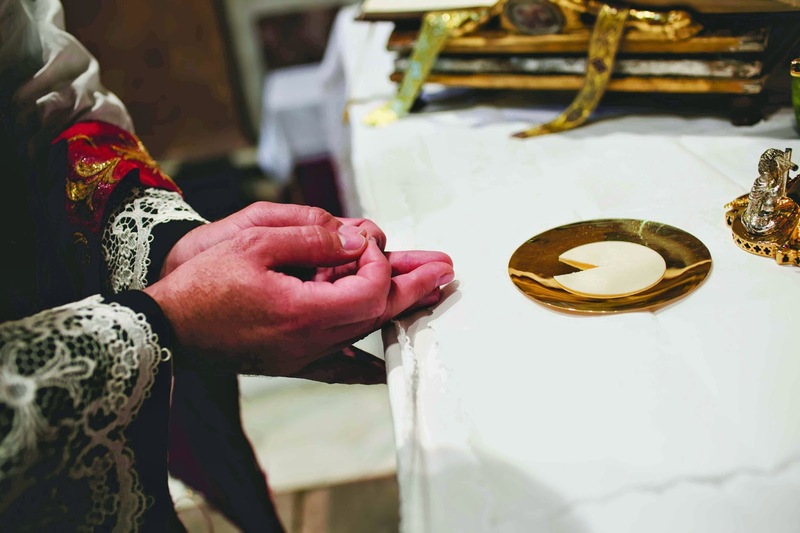 The Second Vatican Council ruled a half-century ago this month that the Mass could be said in local languages while the priest faced the congregation. The longer Latin Mass involved elaborate choreography, and the priest’s back was toward the pews. …since “the greatness of the liturgy depends . . . on its unspontaneity” (Ratzinger), one should, as a matter of principle, avoid variety amid the plethora of options. PETER KWASNIEWSKI, New Liturgical Movement, April 2015. 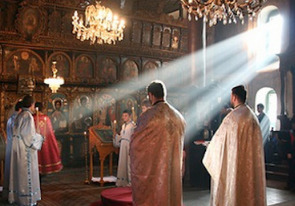 It has been widely recognized that the Mass of the modern Roman Rite suffers in many respects from a sharp discontinuity with the preceding liturgical tradition, and that its many simplifications, innovations, and options have, to an alarming extent, deprived it of the intensely devotional atmosphere so characteristic of the traditional Roman Rite. Recognizing this fact more clearly than most, Pope Benedict XVI expressed his desire for a “mutual enrichment,” with the result that people would be able to find in the new Mass the “sacrality” that they love in the old Mass. Nevertheless, as we know, such a rediscovery and recovery of sacrality in the Novus Ordo will not occur automatically; it will require the taking of definite steps, within the confines of existing liturgical law. We rightly rejoice in the ecclesial benefits of a mutual coexistence of forms, but “seeking reconciliation” also needs to find an internal expression, for otherwise the gap between the celebration of the two forms (assuming the typical parish celebration of the OF compared with a rubrically-correct celebration of the EF) will remain too vast. It is Eastertide as I write, but the memory remains strong of hearing the Improperia (or Reproaches) sung so movingly in St Mary’s Cathedral, Sydney, on Good Friday. They are, to my mind, the single most powerful and affecting element in the whole course of the liturgical year: their profound pathos is overwhelming. They are also extremely unusual in that they employ the device of having God speak directly to us in his own words, something that never happened in Christian hymnody before Marty Haugen and his ilk came out of nowhere. The Improperia appear to be very early, because of their use of Greek, but they are not certainly identifiable before the Pontificale of Prudentius (Bishop of Troyes 846-861). 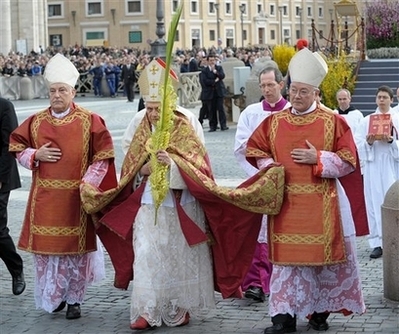 Thereafter they became fully incorporated into the liturgy of Good Friday. Their setting by Palestrina in 1560 is, I believe, still used every year in the Sistine Chapel. …Fr Suresh sang a Missa cantata. En route, from time to time we said the Rosary (ten decades each day), sang hymns, conversed and enjoyed the pleasant weather and scenery. …Being a Catholic affair, we quenched our hard-earned thirst and enjoyed a pleasant dinner together in a local pub each evening. Readers will be aware that Oriens is a bit of a fan of Pilgrimages; some of you will recall that in May 2014 we ran a series of posts on various pilgrimages including the Whitsunday Paris-Chartres pilgrimage, its antipodean “daughter”, the annual Christus Rex pilgrimage from Ballarat to Bendigo – and the Ely to Walsingham pilgrimage inspired by the latter, which might be thought of as a “grand-daughter”. Today I’m pleased to present a report from our old friend Joshua (you may recall his piece on the TLM in Hobart which we linked in June 2014) on the inaugural Tasmanian “granddaughter” of Paris-Chartres, wherein your humble servant was further humbled, as the chronicles record. (I’ve lifted the report, with permission, from Joshua’s excellent blog Psallite Sapienter which you should have a look at; note especially the St Patrick’s Day post recording the excellent developments in relation to the traditional Mass in Tasmania, with now a monthly (sung!) EF Mass in Launceston in addition to every Sunday (and first Friday) in Hobart. A small group of friends and I spent the weekend on a Lenten pilgrimage: on Saturday, we walked from St Joseph’s Church in Hobart to St John’s Church in Richmond (25 km); and on Sunday, another 28 km to St Patrick’s Church, Colebrook. The three churches mentioned are all historic: St Joseph’s, built 1841, was Hobart’s original pro-cathedral; St John the Evangelist’s, built 1837, is the oldest extant Catholic church in Australia; and St Patrick’s, Colebrook, built 1857, is a perfect Pugin design.